Garden Tools can make a great Christmas gift for a keen gardener and if you get the tool engraved it adds that personal touch making it extra special. 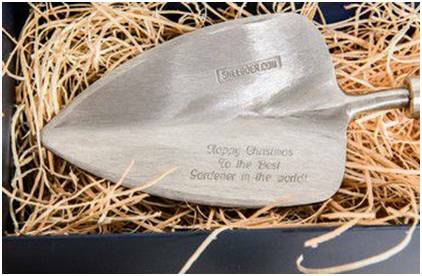 Trowels tend to be the most popular gift and are ideal to be engraved with a Christmas wish for a keen gardener. Sneeboer Tools are very popular – our Short Fat Trowel is a perennial best seller and can easily be engraved, the Heart Shaped Trowel offers a distinctive shape and perfect for a loved one and the Garden Trowel is ideal for lots of gardening tasks. “I’ve got too many pairs of gloves”, said no gardener, ever! So why not treat a gardener you know to a new pair this Christmas. 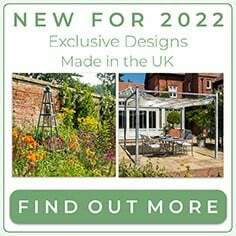 There are so many types available on the market that you will be able to find the perfect pair for the gardener in your life. 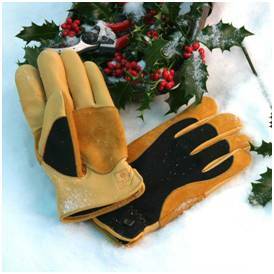 During the winter months a quality pair of warm gardening gloves will be a real treat for the gardener, or why not look for a pair of leather gauntlets, perfect for protecting the hands and forearms during the big garden tidy. 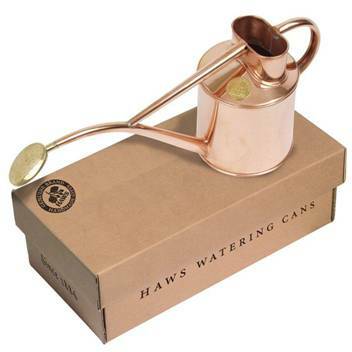 A perpetual best seller, the Haws Copper Watering Can is perfect for indoor and seedling watering and makes a fantastic Christmas gift. This stylish little can is made from a sheet of pure copper and retains a beautiful finish when polished. Supplied in presentation box this delightful watering can is a classic example of British styling and craftsmanship and will be a treasured present for any keen gardener. Unfortunately none of us are getting any younger, and although we may still feel like an 18 year old inside, our bodies sometimes let us know otherwise. 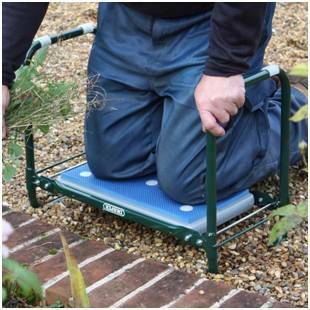 Gardening can be hard work on the joints, especially the knees when kneeling for long periods, but investing in a garden kneeler is a great solution. 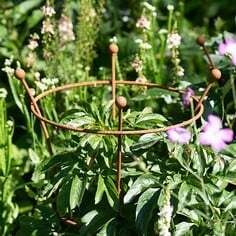 Garden kneelers are available in a variety of shapes, sizes and styles from big foam cushions to comfortable knee pads. 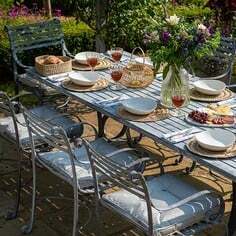 Our favourite is the Folding Seat & Kneeler – a sturdy durable kneeler that can also double up as a seat – it’s saved many a sore knee in the Kitchen Garden over the years! 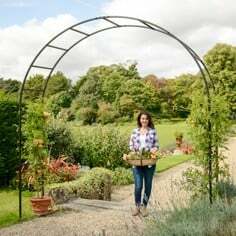 The potting shed or greenhouse can quickly get into disarray with all the tools, seed packets, ties and labels you use in the garden, so anything to help keep things a bit tidier will be welcomed by any gardener. There are a lot of tool racks, seed organisers and trugs available to keep all the potting shed paraphernalia under control, but our favourite piece of tidying equipment is the Shed Tidy. 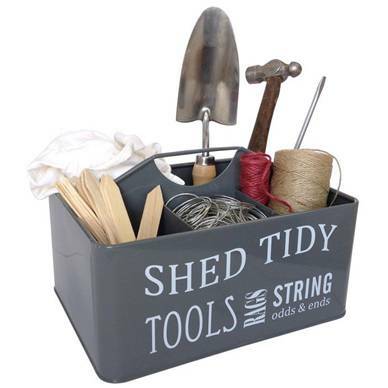 This great tidy tray helps keep smaller hand tools, twine, secateurs, labels and lots more organised and close to hand – a must have for the gardener. It’s happened to every gardener, a new row of seedlings start to emerge but you can’t remember what it was you sowed! 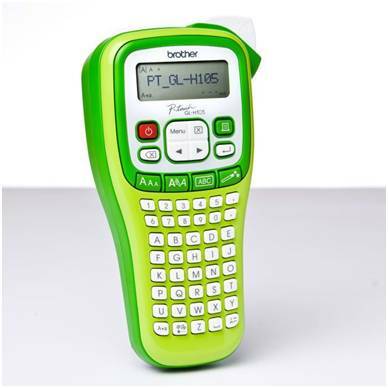 This practical and easy to use Plant Labeller will stop any confusion in the future. The labeller has long been a favourite in the kitchen garden and is regularly put to use, producing clear waterproof labels. A good Garden Journal or Diary is a must have for gardeners, a fantastic way to record successes and failures throughout the gardening year. 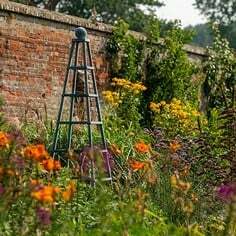 It becomes a fantastic resource for planning your garden each year, when to sow, what to sow and where to sow along with little useful tips you can add in along the way. 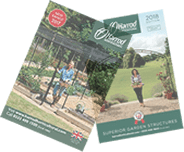 Why not treat yourself or another gardener you know to a stylish journal this year, it will be well used and become a useful resource for years to come. A stalwart in the garden, a good pair of secateurs will be one of the most used tools in the garden. 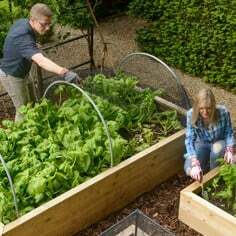 Whether you are doing some quick pruning, cutting canes or trimming wire secateurs come in useful nearly every time you carry out a gardening task so it’s worth getting a good pair which will last and put up with heavy use. 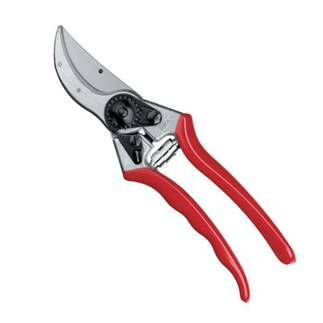 We have always favoured Felco Secateurs and their Model 2 Bypass Secateur is our pick of the crop. Highly recommended by professionals, these fantastic secateurs come with a lifetime guarantee and although they might not be the cheapest, this really is a case of you get what you pay for. So why not treat someone you know to these superb secateurs, they make a great gift that will give years of faithful service. Admittedly not the most glamorous of Christmas presents, but one that will be loved by any gardener who likes to grow their plants from seed. 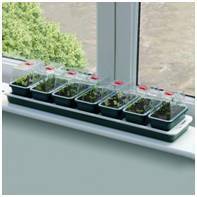 A propagator can be great for starting your growing early and you can even use them to grow salad and herbs on the windowsill. There are loads to choose from including heated propagators, perfect for lengthening the growing season, self watering propagators, ideal if you are away for a few days, right through to simple growing trays with lids. The Super 7 Heated Propagator is a great little propagator. It has 7 trays with lids so you can grow 7 different plants from seed and the heated base makes sure everything gets off to a flying start. 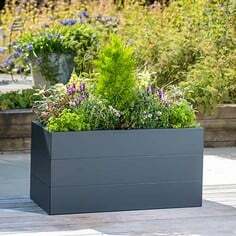 Although to many it may not seem very exciting, keen gardeners would love this for Christmas! 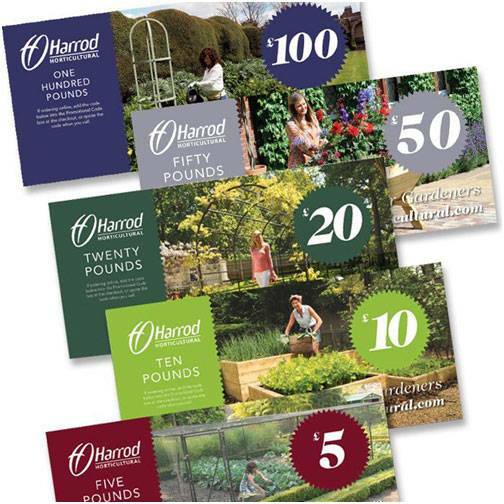 So if all else fails or you just can’t think of the best gardening gift to buy, Gift Vouchers are a great option. It gives the gardener in your life the opportunity to choose what they want; the hardest part is deciding how generous you feel! 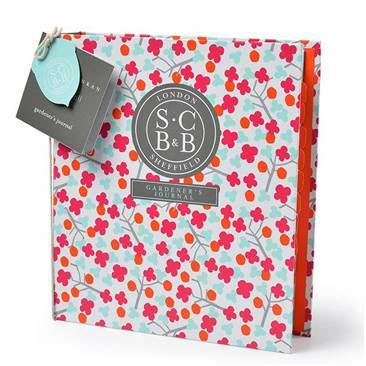 Hopefully we have given you some gardening gift inspiration!